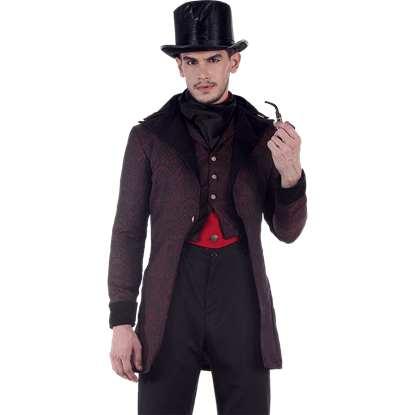 Typifying the sheer elegance of a Victorian age gentleman, the Black Velvet Gentlemans Tailcoat is a magnificent piece of formalwear for the steampunk fan who is desires a stunning completion to their Victorian themed attire. 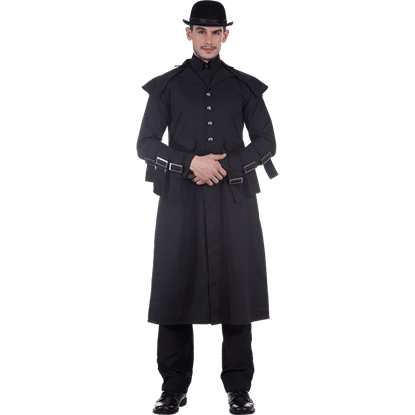 This formal Britannia Guard dress coat is made of 100% wool with a drab green open front. 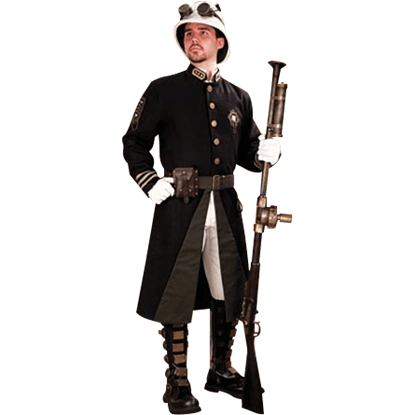 The cuff braid, collar markings, shoulder patches, and chest emblems all add to an overall look, making it perfect for any steampunk style. This coat looks like it belongs on a certain detective's shoulders as he departs from his residence on Baker Street. 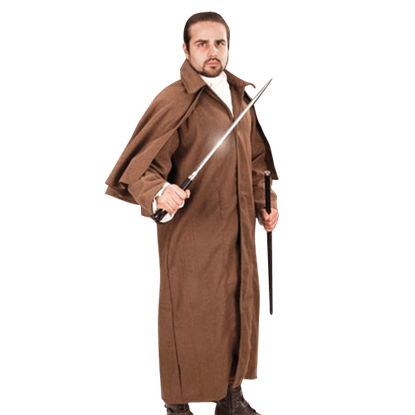 Striking in its look and accurate in its style, this Brown Grey Baker Street Coat a great choice for any gentleman. 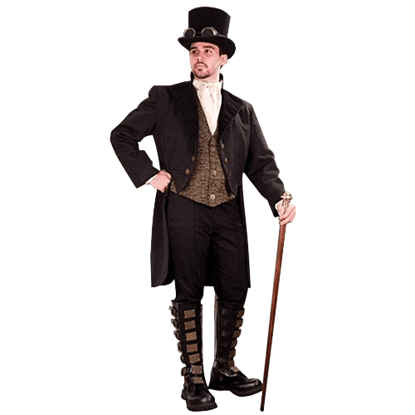 A wondrous coat for those who want to embody the exquisite elegance of Victorian formalwear, the Cavaliers Gentlemans Steampunk Coat is a beautiful frock coat which was fashioned after the styling of the Victorian era. This coat looks like it belongs on a certain detective's shoulders as he departs from his residence on Baker Street. Striking in its look and accurate in its style, this Charcoal Grey Baker Street Coat a great choice for any gentleman. 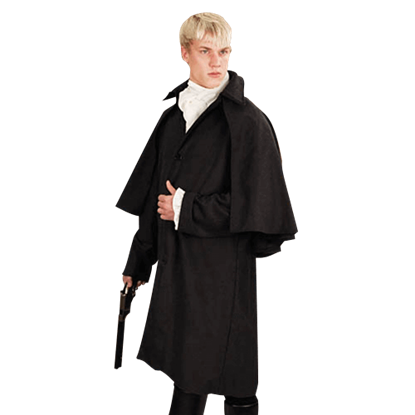 With its distinctive look, this Clockwork Open Coat is a handsome choice for any gentleman to wear. It serves well, rain or shine, summer or winter, and will provide any lord just the right elements of dark appeal and gothic style. 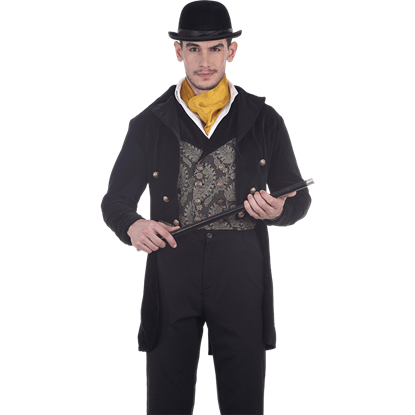 The perfect way to complete your Victorian age aristocrat look, the Dorchester Tailcoat emulates the elegant styling of 19th century fashion in an eye-catching design which emanates an air of sophistication and refinement. 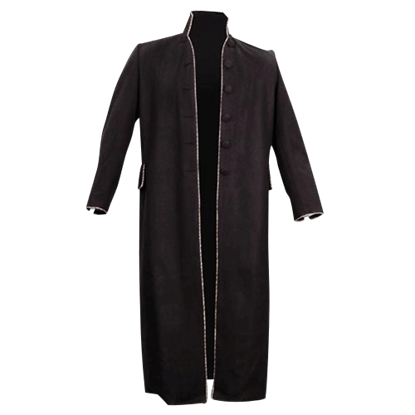 This rich Steampunk black brocade coat has faux sealskin lapels and arm straps. Our Steampunk coat features pockets and antique silver buttons. 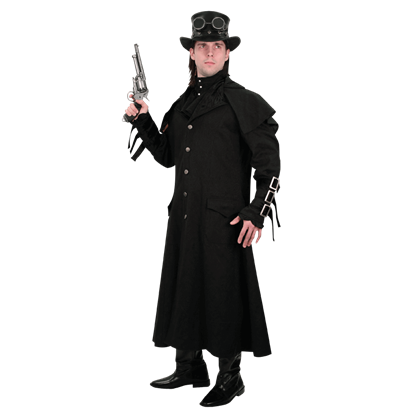 This gentlemans steampunk coat is great to wear to costume parties or a steampunk convention. 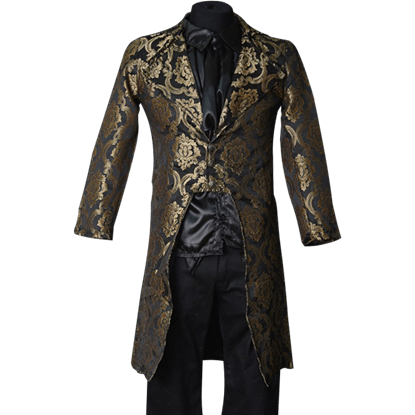 This Empire Opera Coat is a formal tailcoat with a Steampunk twist. 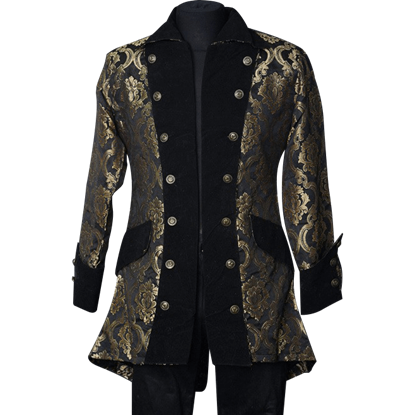 The Empire Opera Coat is made of rich black brocade with artificial seal-skin lapels, antiqued brass gear buttons, and a real watch pocket. 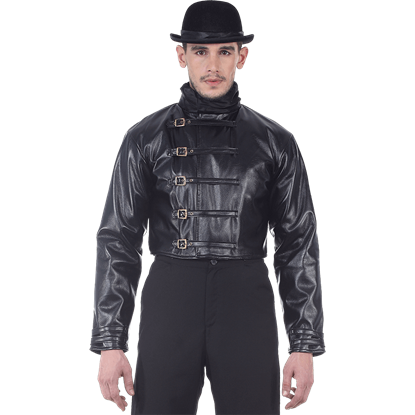 Designed to meet the needs of steampunk enthusiasts, the Faux Leather Steampunk Short Jacket features a retro-futuristic style with a sleek leather-like appearance and a high-waist cut which pairs perfectly with Victorian trousers.